Quorn & Woodhouse Station on the Great Central Railway has the added attraction, rare on a heritage railway, of a fully working sixty foot turntable. It is available to view whenever the railway is open, and is in use most weekends, especially when there is a Gala or other special event taking place. 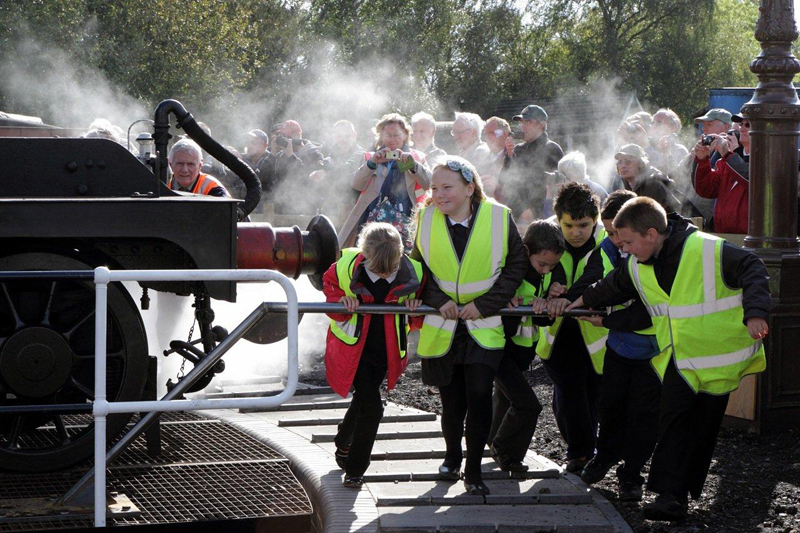 The sight of a full-size steam or diesel locomotive being turned merely by the efforts of two or three people always draws a crowd, and this unusual spectacle has become a firm favourite with railway photographers. The turntable was originally built in 1909 by the well known engineers Cowans Sheldon Ltd of Carlisle, and was first installed at York, now of course the home of the National Railway Museum. 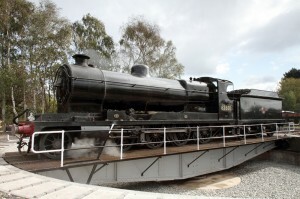 The Great Central Railway acquired the turntable exactly one hundred years later, in 2009, by which time it was in a derelict condition. Following extensive work by the Railway’s in-house engineers it was renovated and then installed at Quorn & Woodhouse by specialist civil engineering contractors during the late summer of 2011. Below is a short film, taking you behind the scenes of the construction of the turntable, including some spectacular timelapse photography. Since then it has been in regular use, following its formal opening by local MP Nicky Morgan. It has featured in several specialist steam railway magazines and there is an indepth look at its construction in a special article published in Main Line No.149 (the Winter 2011 issue). 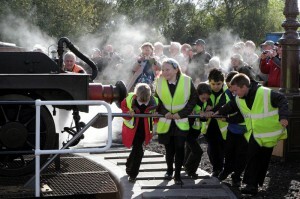 The turntable is normally demonstrated during gala events so check special event pages for details and times.